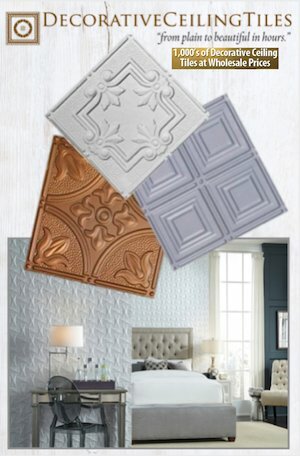 So we of course, immediately emailed our ceiling tile expert, Milan, over at Decorative Ceiling Tiles, for his take on the use of tin tiles in bathrooms. 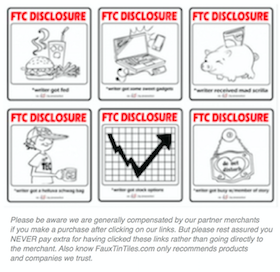 Milan says, “Go for it!” with a few caveats. 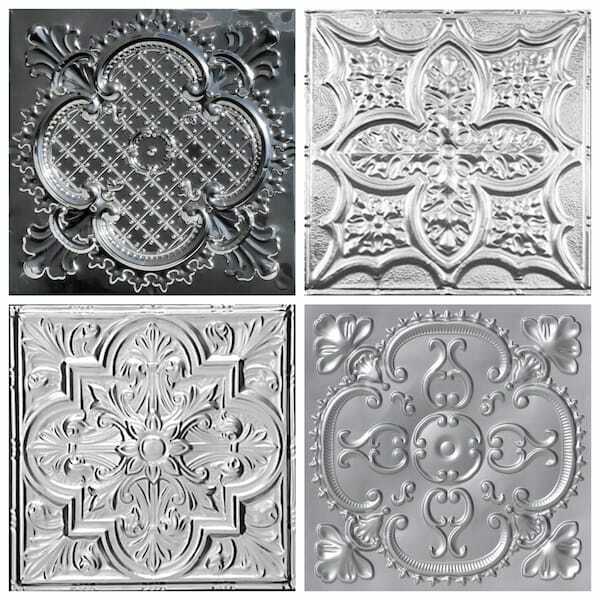 If you use actual tin tiles they “must be primed and painted from both sides with paint for metal so they will not rust.” The same holds true for mill finished aluminum tiles. 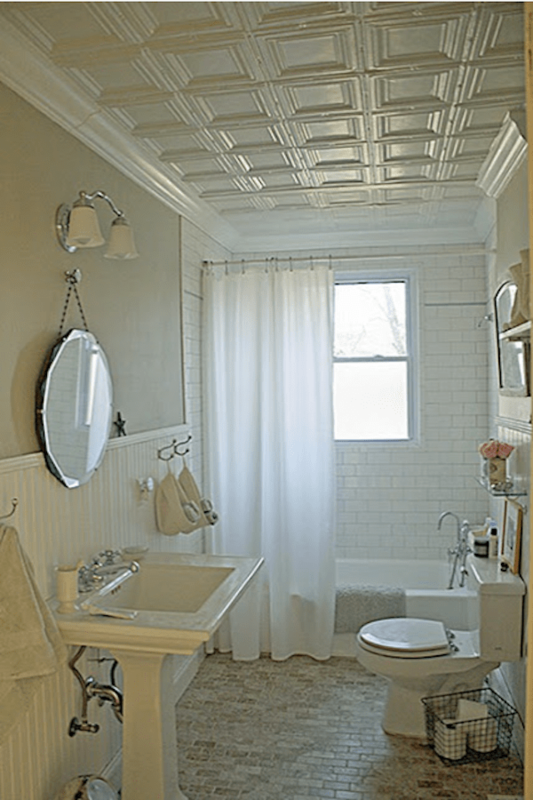 But he believes the very “best choice of ceiling tiles for bathroom applications are clear coated aluminum tiles or pre-finished painted aluminum tiles.” Alternatively, any faux tin tile (PVC) or styrofoam tile will work, too. 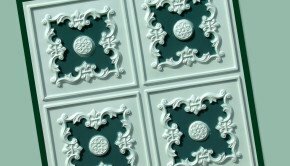 Although it is hard to tell, this first photo depicts styrofoam ceiling tiles painted an antiqued silvery color to imitate the look of aged tin tiles. 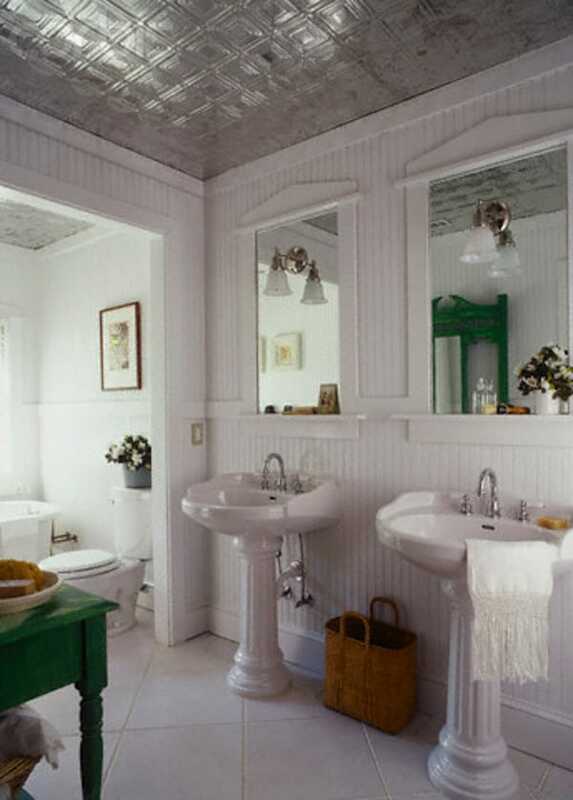 These next two bathrooms feature similar style ceiling tiles. The difference is strictly the finish. 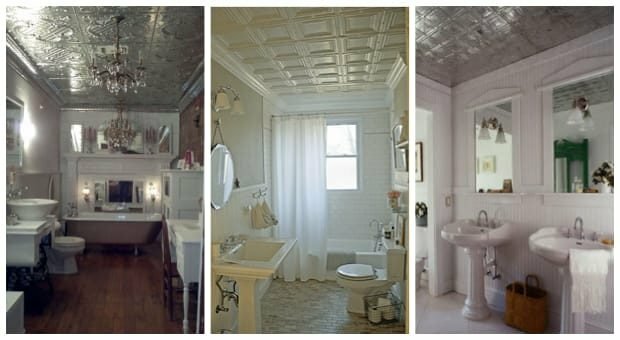 In the top photo the ceiling tiles are painted in a shade of white. 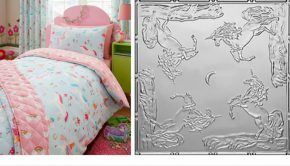 The ceiling in the second photo is mostly likely clear coated aluminum or a bright silver painted finish. Unfortunately we have not been able to find photo attributions for any of these photographs. If you by chance know who shot them or their original source, please let us know. 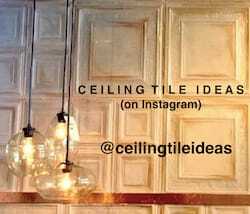 And finally, we thought this bathroom ceiling was so much fun we shared it on Instagram! 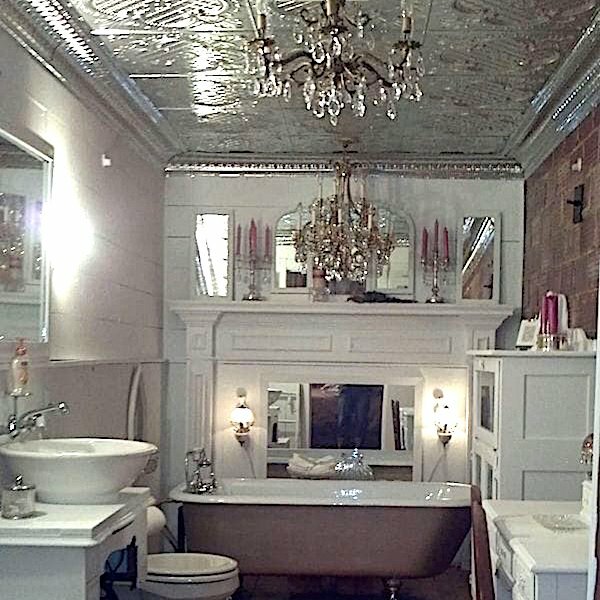 This highly ornate vintage inspired bathroom sparkles with a bright silver ceiling. 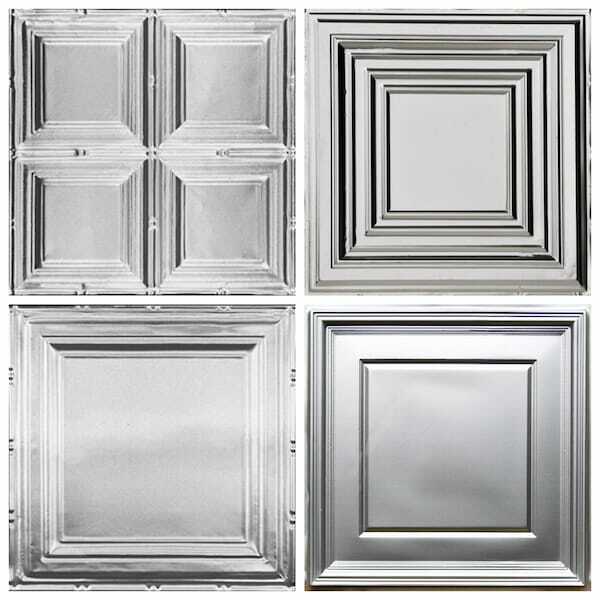 Most likely these are also aluminum clear coated ceiling tiles. 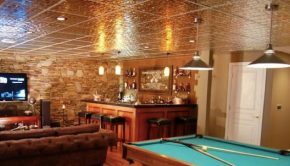 But truthfully, the faux ceiling tile options are so realistic, it is sometimes hard to discern the difference, especially in a photograph. Again, we do not have a photo attribution. Please let us know if you know who took this photo or where its original source. If you have any questions about your ceiling project, Milan is more than willing to help! 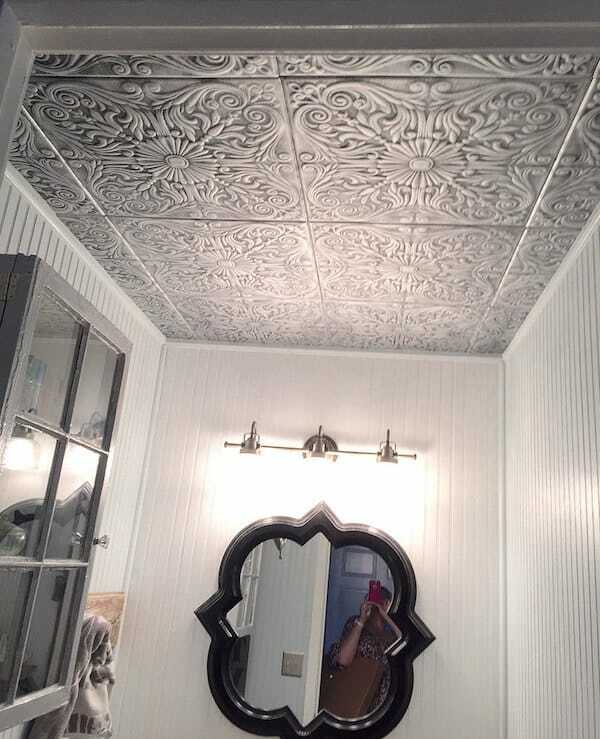 You can email him at info@decorativeceilingtiles.net or give him a call TOLL FREE at 1-866-297-0380. Be sure to tell him Marcia sent you for extra personalized service. 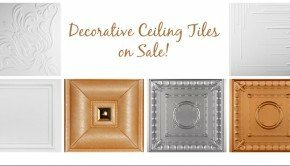 And finally, don’t forget to use our exclusive promo code, FINETOFAB to save an extra 5% on anything and everything on DecorativeCeilingTiles.net!